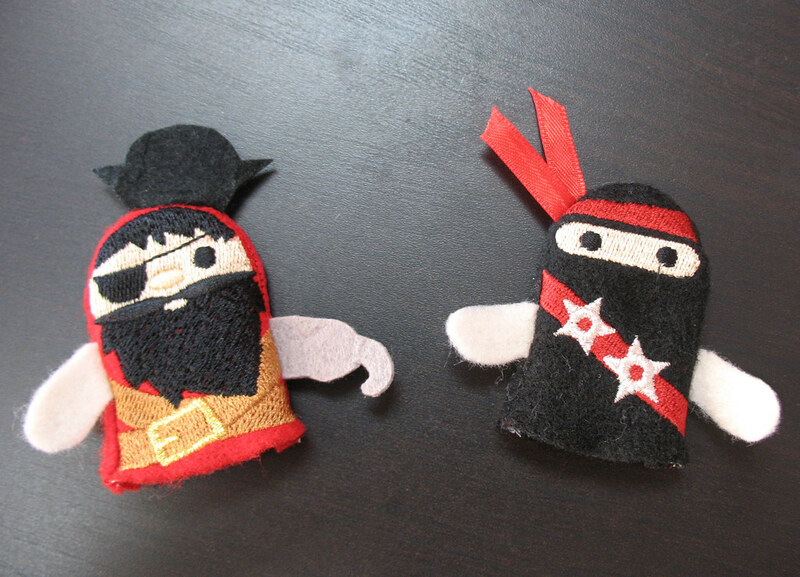 Craftster Community > TOYS, DOLLS AND PLAYTHINGS > Toys, Dolls and Playthings: Completed Projects (Moderator: meleriffic) > Pirates vs. Ninjas THUMB WARS!! Pirates vs. Ninjas THUMB WARS!! 1) Puppets must be worn on thumbs at all times. Ninja is not allowed to sneak around during battle. 2) You can only use one hand, so if your puppet starts to come off, you must use your same hand to keep him on. 3) If a puppet falls off, both contenders must switch to the “hand of shame” (their non dominant hand) for 20 seconds of play. 4) The winner must pin their opponent for at least 3 seconds to declare victory. Pirate deftly doges Ninja's sneak attack! 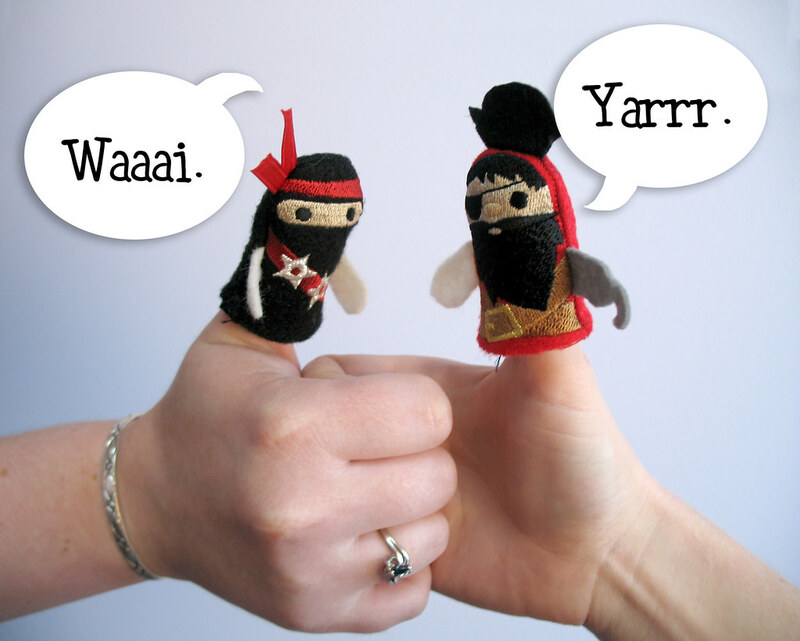 Re: Pirates vs. Ninjas THUMB WARS!! omg, that just made my day! that is so awesome! sooo cute. this is awesome. I am partial to ninjas, but the cuteness of both keeps me undecided!! Love these! hahahahahahahahahahahaa these are fantastic!! I need to make some of the pirates for my kids. The SeaFair Parade is next week, and they could wear them to show support for the Pirates in the parade!! Awesome!!! I want these...of course I would then have to fight my kids for them. These are so very very very awesome - go pirates!